The SAI is the uncompromising advancement of the legendary 9MUSAM with completely brand new pickup system. 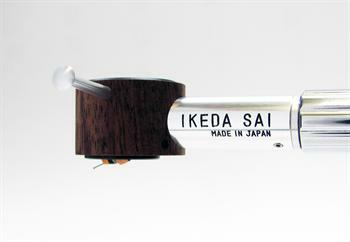 Engineers from IKEDA succeeded to transfer the tonal qualities of the 9MUSAM without compromising. The output voltage could be increased through further development in the area of the coil drive to 0, a channel equal 0.5dB 30mV! The cantilever consists of Boron and the diamond is Micro-Ridge.